Join us this week as we welcome back to our show, singer songwriter Rod Black. Hailing from Vancouver, BC, Canada Rod Black of Jet Black Stare had success with his first debut album "In This Life" with Island/Def Jam back in 2008-2010. It featured the single “Ready to Roll” which peaked at 27 on Billboards Active Rock Charts. It's also been heard on NASCAR, NBC, CBS, CBC, TCN, NBA, NHL, NFL and CTV. The song "I'm Breathing" got some time on the popular US TV show Sons of Anarchy as well. 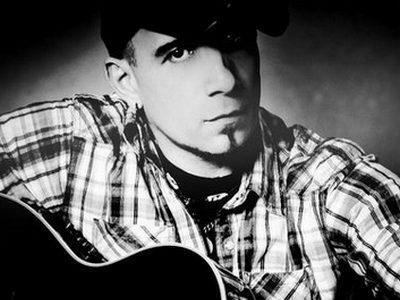 Rod Black has toured with bands like 3 Doors Down, Shinedown,Staind, Hinder, Puddle of Mudd, Shine Down, Theory of a Deadman and various other national acts. We will catch up with all the latest with Rod, talk to him about his upcoming schedule, get a behind the scenes look into his music, feature songs from his new solo country rock album, and ask him to share his efforts to support the troops. Please be sure to visit Rod Black at http://www.reverbnation.com/rodblackband and spread the word. Fans are welcome to call in and chat live with Rod during the show. If you would like to participate in the live chat during the show, you must sign up on the show site first and then log in during the show. More great music for a really great cause! And as always we will give shout outs to our deployed military listeners. This is sure to be a terrific show so be sure to join us, Sunday March 11th 2012 at 4:00 PM EST! Our message to the troops....WE do what we do, because YOU do what you do.